SimfyAfrica, iTunes, Apple Music, YouTube, Art Tracks, Spotify, Amazon Music, Google Play, Deezer Groove, iHeartRadio, Napster, MediaNet, VerveLife, Tidal, Gracenote, Shazam, 7Digital, Juke, Slacker, KKBox, Akazoo, Anghami, Spinlet, Neurotic, Media, Yandex, Target Music, ClaroMusica, Zvooq, Saavn, NMusic 8tracks, Q.Sic, Musicload, Kuack, Pandora, Boomplay Music, Amazon On Demand. My job is to link you to the online streaming services that can get your music heard all over the world and get you paid (although it’s not much). The process of setting up accounts to get your music distributed online is tidious and sometimes confusing. Through trial and error, I have learned how to meneauver through this process with ease. 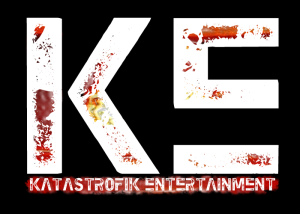 Katastrofik Entertainment, LLC. is an Entertainment Company NOT a Label, created by Katana Da Don. Katana is driven to assist HIP HOP ARTISTS in LYRICAL and overall ARTIST DEVELOPMENT, STUDIO ETIQUETTE, CREATIVE VISION, PRODUCTION, MIXING and MASTERING. Katana Da Don was born in Pittsburg, California and was introduced to Salsa and Afro-Cuban rhythms at age three by her father. By age five she played the drums and cowbell alongside a group of brothers that lived up the street who later became known as Los Lobos. At age ten Katana Da Don was writing Hip Hop and R&B lyrics. At age twelve she started taking Jazz/Gospel piano lessons and that gave her the knowledge and tools to compose her own music. Katana released her double album: Secret Weapon Vol. 1 (Hip Hop) and Secret Weapon Vol. 2 (R & B) in 2007 at Electric Fetus and CD Baby. The cd’s received good reviews from local dj’s, amongst her rap peers as well as the local Hip Hop/R & B audience. Her song “Lost” featuring St Paul Slim and produced by T – Lace, was listed as one of the best songs of the summer by Peter Scholtes of the City Pages. Never afraid of testing her artistic boundaries, Katana Da Don branched out to flex her acting muscles playing a main character in local drama/comedy TH3M! The 5 episode series was showcased at the Twin Cities Black Film Festival in 2010. In 2011, she starred in the gospel play/musical The Devil Didn’t Raise You, where she sang an original song selected from her catalog by the play’s author. Katana Da Don is a part of the HECATOMB crew led by veteran MCEE/entertainer Carnage The Executioner. Musically, she’s working on her followup to her album Kut Throat – a mixture of Alternative Rock, Hip Hop and R&B, on which she produced the majority of the material. Katana continues to expand her production and audio engineering credits through her company Katastrofik Entertainment, LLC. with music from Back 2 Back, solo artist HaJ and Soul Reflect. Katana Da Don is showing her range as an artist and molding herself into the first female music mogul.